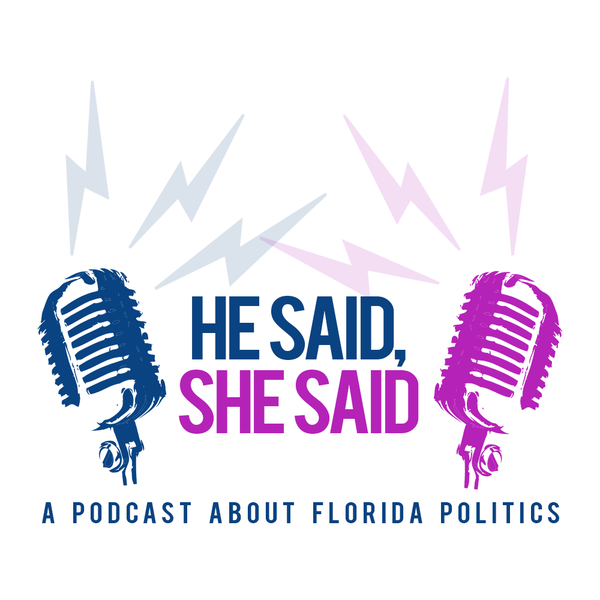 On this episode of He Said, She Said, Peter and Michelle deliver the latest in pop culture, share the news from Tallahassee, and interview two major players in Florida politics. Today's guests include Senate President Bill Galvano and Rep. Chris Sprowls, who is in line to become Speaker in 2021. They share the must-watch issues going through the legislature and talk priorities of each chamber. Sen. Galvano shares his MCORE infrastructure plan and Rep. Sprowls talks intent behind USF consolidation. Michelle mourns the passing of Luke Perry, and talks #MeToo and the women's soccer gender pay gap. Peter gets excited about the final season Game of Thrones and compares anti-vaxxers to flat earthers. While Peter Schorsch holds many titles — blogger, consultant and editor-in-chief of Florida Politics, the most influential political website in the Sunshine State — the one which he’s proudest is “husband and father.” That’s what makes his new podcast so exciting: Peter’s co-host, a woman every bit as accomplished as he is — his wife, Michelle Todd Schorsch. “He Said, She Said” has Peter and Michelle — previously a respected political consultant, now the CEO of the bustling Schorsch household — discussing the driving topics of the day, especially how politics really goes down in Florida. But the political talk is just a jumping off point to a wide-range of subject matter, from the latest in pop culture to some very strong opinions on family life and parenting. Listen in to hear how one political couple balances it all.